After spending one month in Buenos Aires I left Argentina to explore the neighbor country of Uruguay. A tick, penetrating rain accompanied me all the way to BA’s ferry terminal, clogging the streets of the metropolis and trapping the bus in an endless succession of starts and stops. I arrived just 5 minutes before the departure of the ferry, too late to find any queue at the immigration desk. An interesting desk, by the way, with the Argentinian and the Uruguayan officials sitting next to each other in the small cubicle. I traveled with Buquebus (pro tip: book from their Uruguayan website, or else an extra tax for Argentinian citizen will be added and you’ll waste time before realizing that foreigner credit cards aren’t accepted!) and I was expecting somehow a romantic old style ferry with people outside on the wooden deck taking black & white pictures while crossing the Rio Plata. The ferry was actually a very modern machinery with comfortable seats in a big room with sealed windows and air conditioning. In one hour we disembark in Colonia del Sacramento, Uruguay. Arriving to Colonia after one month in Buenos Aires was like the first day of holidays after the graduation exams. Time and space take another order of magnitude crossing the Río del Plata. What the crossing didn’t left behind, was the crappy weather and the rain! The rest of the day was bad and I focused on work. The sun was back in place the morning after and I could discover the place: Colonia has a beautiful… colonial… old town to walk and photograph around. It’s such a relaxing place that I felt like hitchhiking. It didn’t take much before someone stopped to give me a ride to Plaza de toros, the bull ring that is 6km from the old town. This construction is the only bull fighters arena of Uruguay and has a strange construction with an English metal structure underneath the Spanish-style finishing, now falling in pieces. I hitchhike also on the way back, when a funny local nurse stopped to rescue me from the excruciating sun. I spent the rest of the time at the hostel El Viajero that was good fun. They told me all the differences between the Argentinian and the Uruguayan way of preparing the mate, and there are a lot! 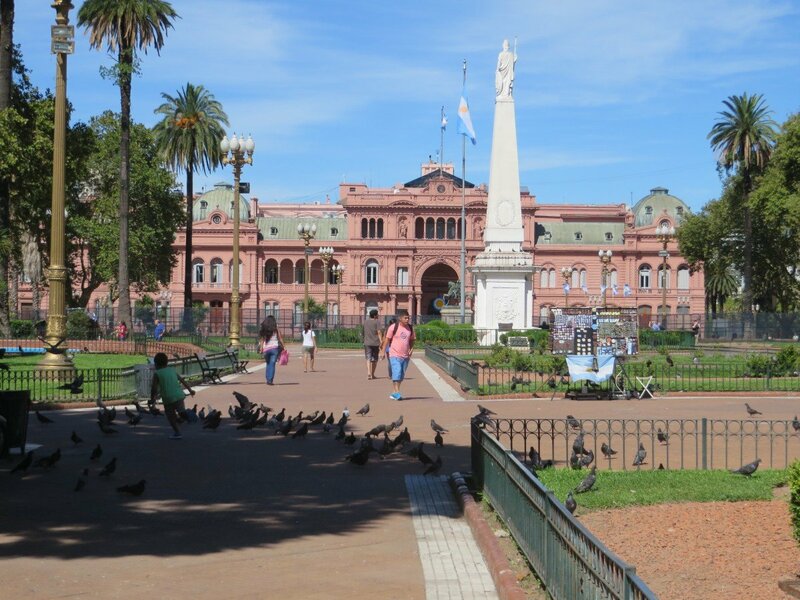 My advise is: if you’ve just few days to visit Buenos Aires, stay there and enjoy the city. If you’ve more time and/or you’re going to Montevideo anyway, then a stop here in definitely worth. Montevideo was a nice surprise. In this city live half of the whole population of Uruguay – 1.5 out of 3 millions people in a country that had 9 millions cows. 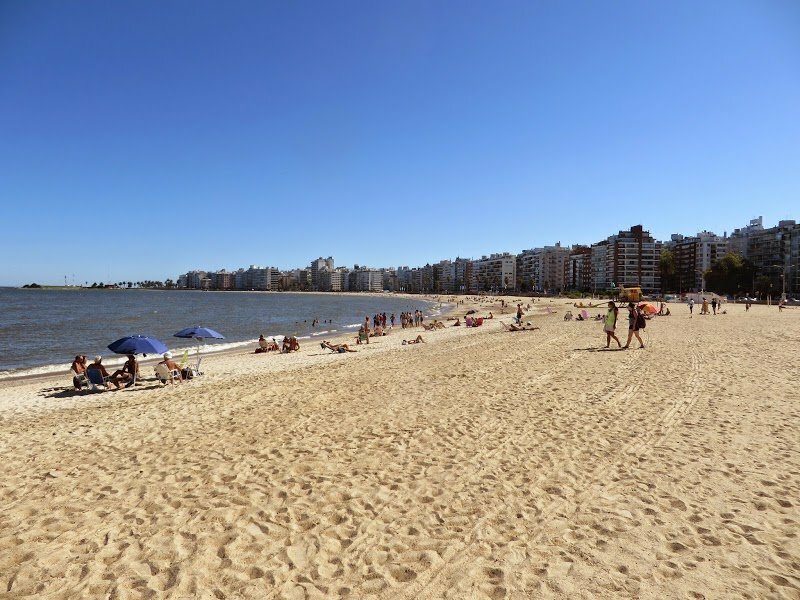 But despite being a real city it has a relaxing vibe, people take their time to answer questions, and more important it has nice beaches on the huge estuary of Río del Plata river. I can’t remember last time I was on a city with beaches, probably was Barcelona. The rambla of Montevideo is very much enjoyed by the inhabitants, that are constantly carrying around their mate and the thermos under their arm. If mate is popular in Argentina, it’s by default in Uruguay! I even saw people in suite and tie entering the bus with their thermos under the arm, the mate in one hand and the cash for the ticket on the other. Christian my Salsa contact in Montevideo and his girlfriend took me around the city to see the nearby cerro and the pochita beach with the big MONTEVIDEO sign. I also enjoyed the free walking tour of the city and dancing Salsa at night, but had no time left to see the Museo Andes 1972 that is about the plane accident that inspired the movie ‘Alive’. Cabo Polonio is a secluded and magic place. I got there after 3.5 hours of bus, and half hour on a 4wd truck crossing the bumpy sand dunes. That was fun. Cabo Polonio is a small village in a natural reserve with unpaved roads and a super-laid-back-hippie atmosphere. Only recently it got electricity and there’s great attention to the environment. I stayed in the hostel Viejo Lobo and that’s where I met the fascist hippies. There’s wi-fi there, but only one hour a day from 10pm to 11pm. Why? Maybe because it’s a very expensive connection? Maybe because there’s scarce electricity? Not at all. There’s only one hour of internet because the fascist hippies say that otherwise people ain’t social. I understand that Cabo Polonio is the perfect place to disconnect from everything and forget about the world, but this should be a personal choice and not an authoritarian imposition. There was one guy in the hostel that did nothing but reading his book: was he social? And the dude playing guitar and singing all the afternoon: was he social? They weren’t, but if you stay on the PC then you’re asocial. That was a plain limitation of my personal freedom: let me choose if I want to use internet 1 hour or 1 day, or limit all the asocial activities to one hour: one hour of guitar, one hour of reading, and 4 hours of talking all together, you fascist illiberal hippie! They didn’t say this detail before I paid $20 USD for a modest dorm room (they’re hippies but they’re not boludos). Half an house south from Cabo Polonio I reached La Pedrera, another beautiful beach place in the Uruguayan coast. The summer season ends in February and this nice town was pretty much a desert with most of the shops already closed. I’ll remember the nice beach, the excruciating sun, a porteña that cooked rice and vegetables for me, and the beautiful hostel that can host up to 160 people – but we where 6. 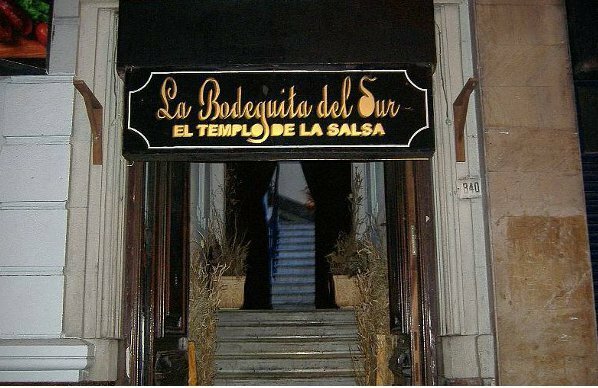 After those three days on the coast I went back to the capital for one more night of dancing before kissing good-bye to Uruguay. I didn’t expect Uruguay to be so expensive. A traditional chivito – a sandwitch with meat, beacon, salad, egg and french fried – costs the equivalent of $12 USD and hostel dorms are $16 USD up. A country named ‘the Switzerland of Latin America’ not only because of the similar size but also because of similar policies that made it a fiscal paradise in the past, next to big powers such as Argentina and Brasil. Now imagine a whole country that knows his message. That repeats what he says. All the Uruguayans I met liked Mujica. Not everyone agrees with his views, of course because it’s politic, but they loved the man and share anecdotes they’re proud of. Like that time when a guy was hitchhiking and the only car that stopped to pick him up, after long time trying, was the old WV beetle of the President himself. Or what happened just few days before my arrival, when during the good-bye party for the end of his presidency (there’s no second mandate in Uruguay) Mujica told the security to let people get closer to the stage. I thought I knew Mujica, now I’m in love with him. Thank U Danie’! Mujica’s the man! Maybe there are some commie frat boys somewhere that balance them out.